George Tyler was born in New Zealand where he was brought up in a family surrounded by Cameras. His father, Mark Tyler has always been heavily involved in the distribution of Nikon and Leica Stills cameras and lenses. As a result, George grew a fascination with capturing images. At High School, George expressed his creativity through graphic design – where in his final year, he was awarded first in his department. George went on to study film at University where he learnt everything from pre-production, on set production, and post-production. This course introduced him to editing, where he gained a love for telling stories. 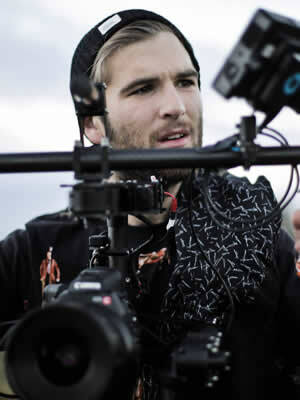 During his time at University, George was working freelance – shooting and editing for Red Bull. This allowed him to gain knowledge directly from the field, something no course can replicate. 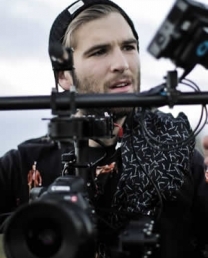 George moved to Sydney, Australia in 2013 where he spent his first year shooting and editing for a production company – Brightworks. Here he gained a great technical knowledge in post-production and on set. His passion for film has had him working on his own personal projects and helping out on large budget TVC sets in his spare time. After building a base of contacts, George has moved into Freelance again – where he is planning to be for the foreseeable future.